Here is a very nice 2013 Toyota FJ Cruiser with some 20″ Fuel Rampage rims with the Gunmetal Finish. This project turned out great and looks fantastic! Using the new Fuel Offroad Rampage wheels, they really give that aggressive off-road look to the FJ Cruiser. 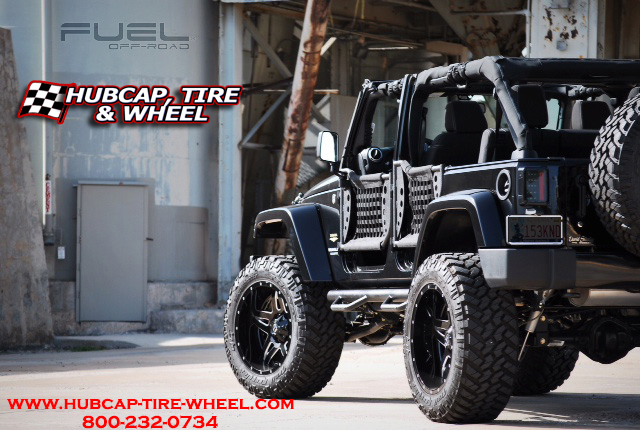 Here is the setup: Lift: 3” Lift Wheel Specs: 20×12 Fuel Offroad Rampage with a -44 offset with a 6×5.5 bolt pattern Tire Size: Super Swamper Tires 35×14.50R-20LT If you have ANY questions about this setup or want to know more information about a setup you want to run and have fitment questions: call us! 800-232-0734 and let our wheel and tire specialists help you out.